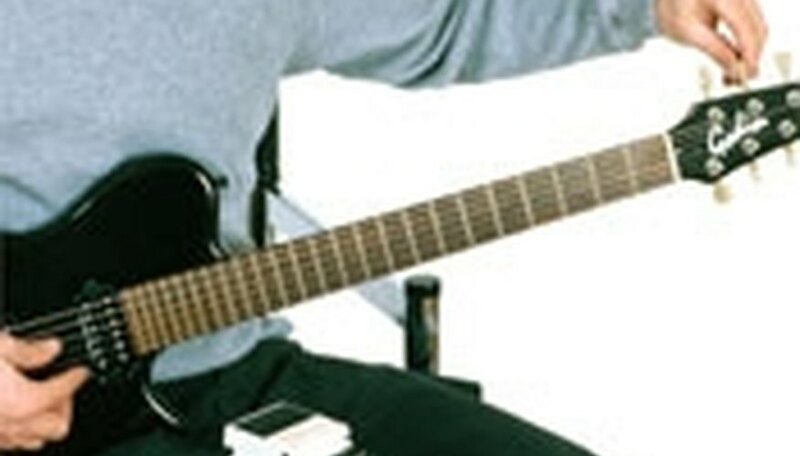 How to Tune a Guitar With a Tuner. Using an electronic tuner is the quickest and most accurate way to tune your guitar. Electronic tuners are small battery-run devices that indicate whether or not your guitar is in tune. Get an electronic tuner at a music store. They are not too expensive (starting at $20) and are easy to operate. Ask for a tuner especially made for guitar tuning. It will be able to sense what string you are playing - E, A, D, G, B or E.
Place the tuner on a table next to you and turn it on. Pluck the string you want to tune, using the tuner's built-in microphone to pick up the sound. Look at the indicator - a flashing light and/or a meter. It will tell you how close you are to the right pitch and whether you are sharp or flat. 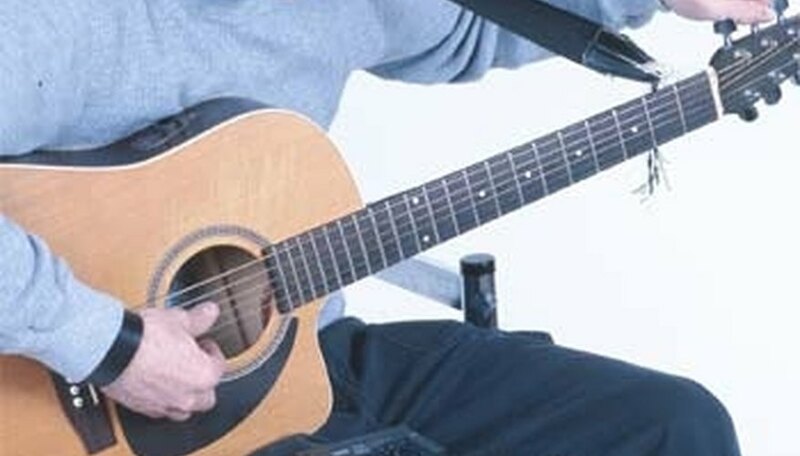 Adjust your tuning accordingly by turning the string's tuning key. Repeat this procedure for all six strings of the guitar. Plug the guitar into the tuner, then pluck a string and watch the indicator. Check the indicator - a flashing light and/or a meter. It will tell you how close you are to the right pitch and whether you are sharp or flat.